Lori said sweetly in The Man Who Knew Too Little. I think this is a fantastic comedic movie with a great soundtrack by Christopher Young. It includes a special song at the end called Watch that Man! What is there to know about this hidden gem of a movie? Well its stars Bill Murray, way back in 1997. Back when movies could just be fun and not raunchy humor. Its set in England, done and done. I love it when movies are in England, you get so much more acting out of the cast. The score has a very 1960’s feel to it, and it still is kept very light and yet you get this sense of mystery from the different parts of the score. Christopher Young uses lots of horns and piano for his score along with some chorus singing to make it even funner. 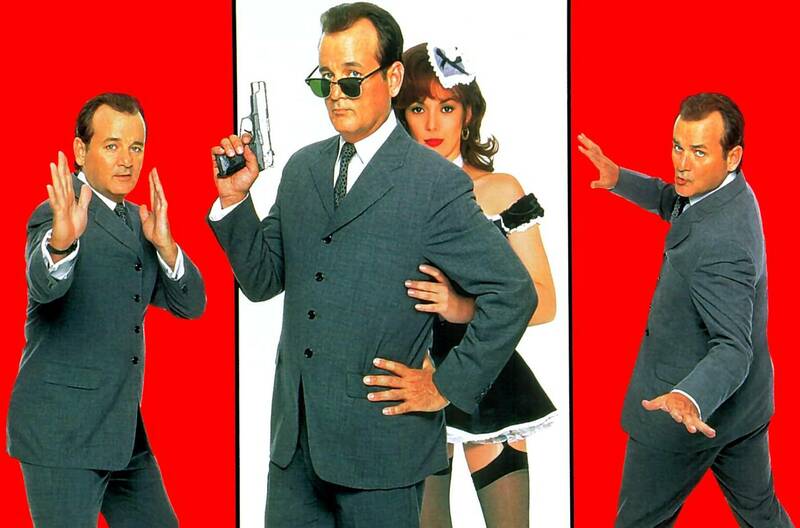 This is a must see movie for any Bill Murray fan or just a fan of good clean fun in comedy. I give you a brief little clip that will show you how much fun the movie can be. And here is a peice of the score. That’s it for today. Hope you enjoyed it! See you Sunday for Critters. Happy Listening! Great theme – clean and precise, which makes me think you’re knowledgable. Writing is brief and to-the-point. I love that in a blog. And it’s a great subject. I couldn’t get the bottom video to play, though. I’ll have to see. My links usually work. A very underappreciated comedy–one of my favorites!